But back to December, we love Christmas. And our teams are working hard to wow our customers with festive treats and Yuletide foodie delights in the countdown to Christmas. For everyone the memories of Christmas will be filled with the lovely festive feasting we indulge in each year. Feasting is a big part of Christmas and there is nothing better than sharing your Christmas Day lunch with loved ones. Advent, know in Latin as ‘the coming’, is the tradition of counting down the days to Christmas and has been around since the fourth century. Our Advent calendar countdown to Christmas follows this theme. 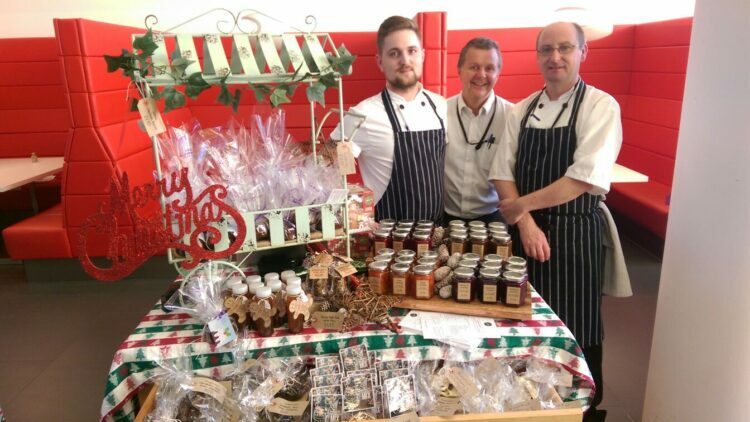 Our team use their entrepreneurial skills to create daily festive food events or experiences to count down the days in the run up to Christmas. This year we have continued the bartlett mitchell tradition of the ‘stirring’ the Christmas pudding. This is an annual bartlett mitchell event which gives our customers a chance to ‘stir’ the puddings before they are cooked. This year, Adam Byatt, bartlett mitchell’s chef consultant, has shared his festive pudding recipe. We have held Christmas pudding masterclasses using Adam’s pudding recipe and have taken lots of pre-orders. Our festive masterclasses are a great way for us to share our Christmas tips, ideas and recipes. In addition to the Christmas pudding classes our teams have also been teaching our customers the skill of making the perfect chocolate truffle. Unsurprisingly this has been very popular. 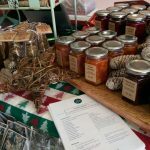 This week saw our Christmas food markets get into full swing. 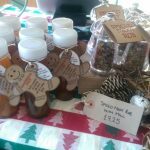 Customers were able to able buy festive treats ranging from handmade mulled wine spices, turkey basting kits, chocolate yule logs, gingerbread syrup (perfect for basting your Christmas gammon) and handmade cranberry sauce. This provides us with an opportunity to upsell and encourage our customers to buy extra special treats (well it is Christmas!). But it also gives us the opportunity to share ideas, recipes and chef’s Christmas tips. Because isn’t that what Christmas is all about, giving and sharing…. No doubt this weekend many of us will start our Christmas shopping and rush around the local shops as we prepare for Christmas (only 22 sleeps to go!). But wouldn’t it be much nicer to slow down and share the spirit of Christmas with friends and family over a nice mince pie and a glass of something….. go on you know you want to – it is Christmas after all….. Remember to look in our recipes section for Christmas food ideas and inspiration from Pete Redman, David Steel and Adam Byatt. And find the recipe for Adam Byatt’s Christmas Pudding recipe.